5 WAYS TO REARRANGE INFORMATION TO MAKE THINGS HARDER FOR YOUR CHARACTERS AND MORE INTERESTING FOR US. 1) CONSIDER FOR WHOM IT IS HARD? WHO IS IMPACTED THE MOST? If information is essential to a story, then it must impact someone. Figure out who that is and see if it can filter through that character. I always bring up the example of a crime scene where two cops are dispassionately discussing the murder. Snoresville, right? But who is it hard for? What if the cops have to break the news to the husband of the victim? In fact, what if the victim stumbles upon the scene and overhears the cops’ dispassionate and seemingly-flip discussion? See the potential. Later when Lois tracks him down, Clark tells her the story about his dad. He tells her that he did not intervene and save his dad because he trusted him and it was a way to honor his father’s belief that it was important to keep his identity a secret. It works. However, considering this reboot casts Superman as a doubt-filled loner, is his response a bit too tidy? Should his answer come so easily? Could Clark be more upset and less in control of his emotions? Who else is really affected? What about bringing his mom into the situation? What if Clark goes to his mother upset with guilt weighing on him because of his feeling of responsibility that he could have prevented his father’s death. Obviously upset, she assuages her son’s guilt and discovers and verbalizes the idea (that the choice was made from respect for the father) but in a less clinical way. It would allow for inner conflict and it could create a powerful moment for an under-used Diane Lane (as Ma Kent). This feels like an organic way for Clark to accept this surprising perspective. Let’s say you have a scene where a woman walks into a room and sees her boyfriend with incriminating photos. If she walks in and sees him, the photos and immediately recognizes them for what they are, what happens? They have an argument. The scene is sort of a dead end. We can use the same information to create a much more dynamic scene. Let’s say she walks in and sees him move to conceal, what could be, incriminating photos. If she is a bit suspicious or paranoid, now she has a goal, something to fight for. She wants to learn what he’s hiding or verify that they are indeed something troublesome. Now you have mystery, an opportunity for blocking as she tries to get past him to the items and conflict (blame, suspicion, mistrust, etc.) that can get at the nature of their relationship. In this setup, you also have an opportunity to change what he is hiding. What if he is concealing invitations to her surprise birthday party? Depending on what the audience knows, you have either dramatic irony, where we know more than she does, or a twist that equally surprises us and her. If the items in question turn out to be innocent or a sweet surprise, the reversal also acts as a comeuppance for the woman for her initial doubt. I posted this question as a quiz on A-List’s Facebook page. In Prometheus, the captain of the ship, Janek (The Wire’s Idris Elba) isn’t interested in the personal aspects/agendas of their trip. He’s all business. However, at the end of the movie, when the alien spacecraft blasts off on its mission to destroy earth, he eagerly chooses to sacrifice his life and crashes his ship into the alien vessel. Why? The first guess might be that he wants to save earth. And that’s partially right. But there is a bit more work that sets up his motive. The seeming throwaway line establishes not only his feelings (or lack thereof) for Vickers, but subtly plants the idea that there is someone who he does love back home on earth. The accordion, its backstory and the snippet from the song are a nice character touch but it’s also an integrated and subtle set up for Janek’s eventual heroic sacrifice. Be careful of being too subtle with the most essential setups. However, in the attempt to write the “perfect script” where everything has a purpose and nothing is wasted, subtlety can be your friend. Because I am working on a scene writing book, I have a strange habit of turning on my TV and watching a random chunk of a movie to watch scenes out of their context. Of course, I have used a reframe to label this procrastination as a convenient euphemism… research. My channel-surfing led me to the ending of a movie called Won’t Back Down starring Maggie Gyllenhaal and Viola Davis. A young mother fights to take over a school so that her young dyslexic daughter, Malia, can have a better education. It’s not a great movie but its heart – if not its head — was in the right place. The final scene of the film shows the students in the auditorium at the beginning of the first day in their new school. Malia has the task of reading a banal announcement about an event. She struggles through the sentence that ends with words, “I hope you can attend.” The filmmakers decided that the word “hope” was a nice theme line and wanted to emphasize it by making it the climax of the moment and ending with it somehow. Maybe it’s still a bit contrived but at least the filmmakers were on the right track. They were looking for a way to shape the moment to create maximum impact. Here is a scene that echoes example #2 above that involved the revelation of photos. In Se7en, when Somerset and Mills explore John Doe’s apartment, Mills stumbles upon something in a bath tub that we don’t see but clearly startles him. He yells out for Somerset who makes a beeline for Mills. When Somerset enters Mills says something like “We had him.” Somerset and the audience struggle to figure out what this means. Conflict for the character, mystery for us. Finally, the objects in question are revealed: photos of Mills (and his wrath) taken by the killer at an earlier crime scene. Take a cue from A-list actors who always want to be smarter, more active and a step ahead of the other characters. Instead of having your protagonist learn a piece of information — X — in the middle of the scene, allow him or her to enter the scene with the information. The character can then create conflict by revealing X as a better plan, interrupt the other character when he or she assumes that the protagonist needs to learn X or surprise everyone with the new revelation X. You will see this in a Sean Penn drama or even with Brad Pitt in a fun genre movie like World War Z. In one scene in WWZ, the Pitt character ignores his captor and, when asked why, he answers that it’s because (he knows) the OTHER guy is in charge. The TV show Elementary often relies on a similar technique that was also used in House. (Reminder: Elementary is House is Sherlock Holmes is Elementary and so on…) Sherlock and Dr. House will make a shocking statement of fact and then, a moment later, would reveal the logic behind it. Elementary has deliberately tried to reinvigorate the cliché with a self-reflexive running joke where other characters point out that they are waiting for the reasoning. Allowing your characters to make leaps of logic or intuition that go beyond reality creates some fun and mystery. Truth be told, this idea of arranging information in the most effective way is probably a nice working definition of what drama is. If we eventually think about “information” as including all of the elements of the story — character orchestration, character flaws, backstories, personalities, thematic motifs, meaning built-in to locations, etc… — then you job is simply (or not so simply) to employ these resources for the maximum emotional impact on the characters and audience. Knock out your exposition and you can knock your story out of the park. BIO: With 20 years of experience as a story analyst, teacher and filmmaker, Jim Mercurio is known by his Oscar-nominated clients who digs deeper than anyone else into the nitty-gritty craft of storytelling. 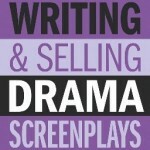 His workshops and instructional DVDs have inspired tens of thousands of screenwriters. The Washington Post called his production tutorials Making Hard Scrambled Movies a must for would-be filmmakers. 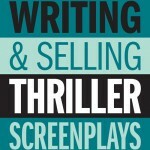 He is currently finishing up the first screenwriting book focused solely on scene writing for Linden Publishing. Thanks for posting this, Lucy. I hope it was helpful for your readers. Everyone, feel free to ask questions or spark a conversation. I have a question – what’s the BEST use of exposition you’ve seen? The Godfather does a great job in the opening of using Kay as our way into the family. And I think the opening of Three Days of the Condor gets a lot of information packed in to its first few minutes. Only problem is some of the movies you used as examples had worm holes big enough to send a star ship through. Prometheus was very disappointing and pointless and Man of Steel wasn’t that good a script. Wish you could’ve picked movies with great scripts as examples. Guess you’d have to go back aways to find one nowadays. I think the overall quality of a movie is irrelevant for studying specific craft elements at the scene level. The relevant question is does it work or not? I made a conscious choice on the DVD set not to be a film snob. I talk about The Godfather, Citizen Kane and Bicycle Thieves but in discussing exposition alone, I mention a wide range of films including Gladiator, The Departed. Frost/Nixon, My Best Friend’s Wedding, Sideways, Se7en, The Interpreter, The Other Guys, Harold and Maude and Tin Cup. For the blog, I used examples I had never used before so that most of the discussion would be brand-spanking new. And I tried to pick current movies that no other teachers have discussed yet. I think there is a lot of good things Man of Steel did from a character perspective. And the thought-process of figuring out how to reveal the emotions/ideas I discuss in it is the exact process you would use in writing a film that was going to end up being a masterpiece. You have to figure out the character perspectives and character orchestration so that the conflict comes organically from the relationships. I agree Prometheus was a flawed film but Scott is a good director and there are some really interesting moments and sequences that the filmmakers (writer, director, everyone) put together. The c-section sequence was really well done. It shows off one of my principles SURPRISE COMES FROM SETUP. The fun in that moment is you know what’s going to happen before it does and that’s what creates the suspense. And even the small little conflict she has when requesting a “c-section” from the machine is an example of subtle setup and exposition: 1) It is only programmed for males 2) In case some of the audience didn’t understand what was going on, it becomes clear when she has to clarify what surgery she wants (removal of foreign object from stomach area). The best movie scene for giving an information dump of exposition is the auditorium scene in Raiders of the Lost Ark where Indiana Jones explains the history of the Ark to the two government agents. Whilst spouting out exposition he uses two props, a book containing an illustration of the Ark and a blackboard for drawing a diagram to help explain what the audience will see in an upcoming scene (the map room). On page it must look dull but on film it is captivating.